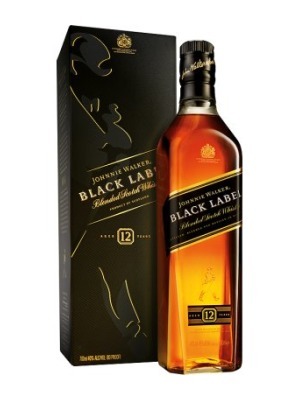 Johnnie Walker Black Label Scotch Whisky is a popular Whisky available from Amazon.co.uk in 70cl to buy online. Visit Amazon.co.uk for the best price for 70cl of Johnnie Walker Black Label Scotch Whisky or compare prices on our other Whisky products. With a bouquet is sweet and fruity with a touch of peat leading to a sultry flavour of warm grain and oak with vanilla and butter notes. It finishes semi sharp and retains a smokey clue for a period just extensive enough that the taste buds crave more. Where to buy Johnnie Walker Black Label Scotch Whisky ? Johnnie Walker Black Label Scotch Whisky Supermarkets & Stockists. You can buy Johnnie Walker Black Label Scotch Whisky online in most retailers and find it in the Whisky aisle in supermarkets but we found the best deals online for Johnnie Walker Black Label Scotch Whisky in Amazon.co.uk, 31dover.com, DrinkSupermarket.com, TheDrinkShop, and others. Compare the current price of Johnnie Walker Black Label Scotch Whisky in 70cl size in the table of offers below. Simply click on the button to order Johnnie Walker Black Label Scotch Whisky online now. Prices displayed are representative and those quoted are supplied by retailers on Thursday 18th Apr 2019 at 06:04.